Heavy Duty Reverse Gears. Because of their small size, reverse gears have always been a weak point in VW gearboxes. To address this problem, Weddle Industries makes a complete line of heavy duty "Weddle Racing" reverse gears. These gears are manufactured to the very highest quality standards and offer a significant improvement over the original VW gears. 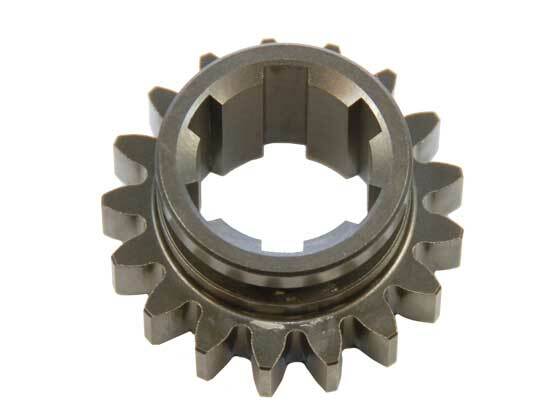 Weddle Racing Gears are made from a proprietary spec high performance gear steel and feature computer aided tooth form design, precision machining, multi-phase heat treatment, and shot-peening, resulting in gears with greatly increased strength and fatigue resistance. Allows an early 44T 1st-2nd slider to be installed in later model transaxles. Commonly used for Pro-Drag gearboxes with a tall 2nd gear ratio.